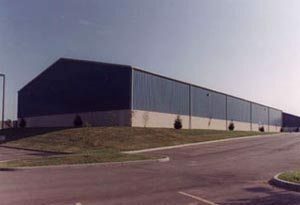 This building includes an indoor soccer field and two racquetball courts. St. Elizabeth Medical Center adjoins the main building. 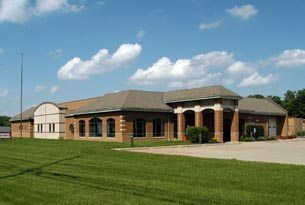 A masonry retail and wholesale facility serving Northern Kentucky (formerly Franklin Brick). 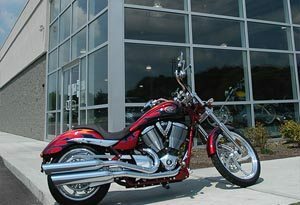 A dealer of motorcycles and other recreational motor vehicles. 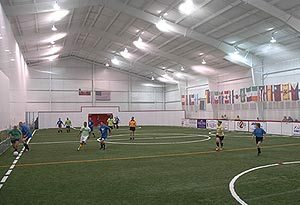 An indoor soccer, basketball and volleyball complex, a banquet facility is also attached. 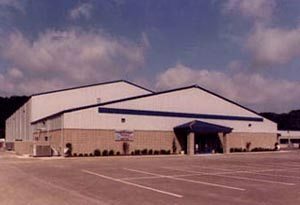 An indoor soccer and basketball complex (formerly Sports of All Sorts)..
Toebben is a long-time member of the Northern Kentucky Chamber of Commerce, an organization dedicated to developing strong businesses and a vibrant economy in Northern Kentucky. If you're just looking for office space, click on the Lease Space navigation button above. 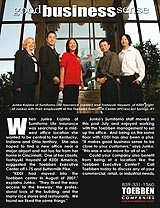 The Sumitomo group is happy in the Toebben Executive Center on Buttermilk Pike.